The Toll House chocolate chip cookie recipe may be the most well-known of the on-the-package cookie recipes out there, but it’s by no means the only one. It comes as no surprise that all of the chocolate chip companies feature recipes, but have you ever seen what the butter people have come up with? It wasn’t without trepidation that I decided to try out the Chewy Jumbo Chocolate Chip Cookie recipe from inside the Land O Lakes Butter box. I knew I would be in for a butter bonanza – one more stick than most recipes I’ve seen, in fact. The recipe also called for quite a bit more flour than usual and an ingredient not often seen in drop cookies: baking powder. As you can see from the photos, the recipe makes some formidable chocolate chip cookies. I thought they were terrific – soft, chewy, buttery with lightly crisp edges. Even without chilling the dough they baked up nice and thick, without being cake-like (probably the benefit of the baking powder). One odd aspect about this recipe – it didn’t specify salted or unsalted butter. Yes, even the butter people contribute to this frequent source of confusion! Since the recipe came from a box unsalted butter, I assumed unsalted butter was intended…but then there was no salt in the recipe at all. Chocolate chip cookies definitely need some salt, so I added in half a teaspoon. Combine flour, baking powder and baking soda in a medium bowl. Set aside. Combine butter, sugar and brown sugar in a large bowl. Beat at medium speed, scraping the bowl often, until creamy. Add eggs and vanilla. Continue beating, scraping bowl often, until well mixed. Reduce speed to low. Beat, gradually adding flour mixture, until well mixed. Stir in chocolate chunks. Drop dough by 1/4 cupfuls, 2 inches apart, onto ungreased cookie sheets (tip: line the sheets with parchment, if you have some). Bake for 10 to 14 minutes or until light golden brown. (Do not overbake.) Let stand 1 to 2 minutes. Remove from cookie sheets. .-= Maria´s last blog ..Blogher Food Conference 2009 =-. Those look wonderful! I am going to try these tonight. .-= Pam´s last blog ..Spinach & Fruit Salad with Balsamic Vinaigrette =-. Yum. Your photos make me want to run to the kitchen right now and start baking. .-= Michelle´s last blog ..Homemade applesauce =-. All those packages of Land o’Lakes butter and I never thought to try the recipe on the box! These look like the perfect c.c.cookie! .-= Valerina´s last blog ..Chocolate-Crunched Caramel Tart (TWD) =-. Thanks, Valerina! I’ll e-mail you the link for the Saveur badges. 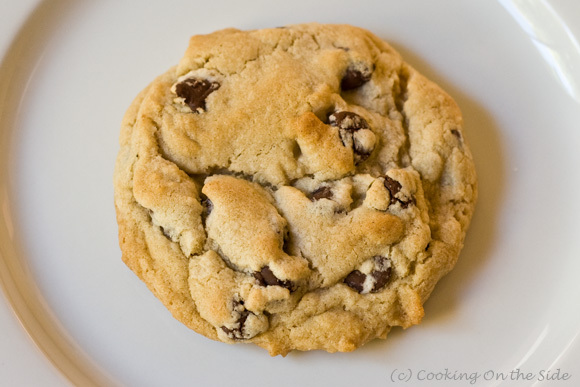 I saw this pic on foodgawker and instantly said to myself, “Wow, that looks like a PERFECT cookie!” You know what? I actually hate the Tollhouse recipe! I’ve never had good luck with it. 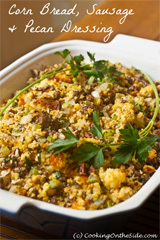 I have however had a great results from several Land O Lakes recipes. I have a handful of cookie and pastry recipes that I’ve clipped from boxes over the years and they’re among my top favorites, but I’ve never seen this one. I have to try it- looks awesome! .-= Sara @ Our Best Bites´s last blog ..Pumpkin Pie Milkshake =-. These look SO good like the perfect CC cookie- I buy Land o Lakes butter and have eyed that recipe several times. .-= michelle´s last blog ..Cedar-Planked Grilled Salmon =-. Always wonder how people get their cookies to look so perfectly round! These look perfect in every way really. .-= The Duo Dishes´s last blog ..Blondies for Babies =-. You CCCs look beautiful. I’ve never made the Land O Lakes butter version either but it looks really really similar to the Betty Crocker Cookie Book Ultimate CCC with just a few minor tweaks. .-= martha´s last blog ..Sugar Cookie Recipe =-. These are some of the best looking cookies I’ve seen! I’ve been using this recipe for the last 9 1/2 years and always get rave reviews about them. They are my favorite chocolate chip cookie EVER!! 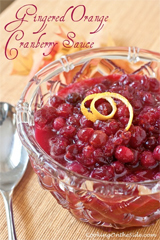 A recipe that has withstood the test of time – I love it! .-= Jamieanne´s last blog ..On The New Design =-. Very cool idea behind your blog. I’ve seen this recipe and have wanted to try it for a while. Thanks for letting us know it’s a winner! .-= Xiaolu @ 6 Bittersweets´s last blog ..Apple Cherry Pie =-. So glad you liked them! I’ve found they freeze really well too. I grew up eating and baking the Tollhouse recipe, but somewhere between childhood and here (I refuse to call myself a grown-up), I’ve developed a taste for thicker, chewier chocolate chip cookies. I struggled to find the perfect recipe – they always seemed to spread too much or end up too crunchy. But this one is perfect! I might even go so far as to say it’s foolproof. Can this batter be chilled overnight before baking. Some people say in oatmeal cookies or any kind of cookies if the baking powder sit to long it loses its power. I love this recipe. I had it from the inside of the box of butter and had lost it. Very happy to find it on here. Thanks for posting it. My family begs for these cookies. this cookie is pretty good. definitely, wouldn’t turn it down and I love the fact that it beautiful-shot worthy; unlike the Tollhouse cookie, which taste great, but is aesthetically displeasing. I wish the Land o’ Lakes cookie had a little more depth of flavor, though; a little extra something to take it to the next level. thanks for posting the recipe. always appreciate a cookie that taste and looks good. I’m trying these today! I love the concept of your blog – recipes on boxes are definitely an often-forgotten idea! I just made these cookies, following the recipe to exact specification, and didn’t get results I was expecting. My dough was very crumbly, like sand. I found that idd, but proceeded wondering what would happen After baking the cookies did not spread, i had to flatten them with my spatula At any rate, that was my experience. I will continue my search, falling back to my stand by recipe. I’m sorry to hear that. I’ve got to think the dough must have been missing butter (it’s a whopping 3 sticks) as it’s always worked out just fine every time I’ve made them. It’s always a good idea to judge the exact baking time by sight – all ovens heat differently. 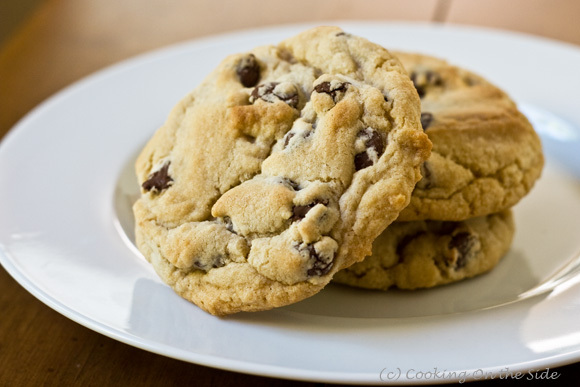 I’ve been searching for the perfect chewy, thick chocolate chip cookie and finally found it! These are incredible and my children have begged me to only make this recipe from now on. We chilled the dough for several hours before we baked and they turned out perfect. Thanks for sharing this! P.S. Your pics are what convinced me to try it, great photography! I just made these cookies…. fantastic!! 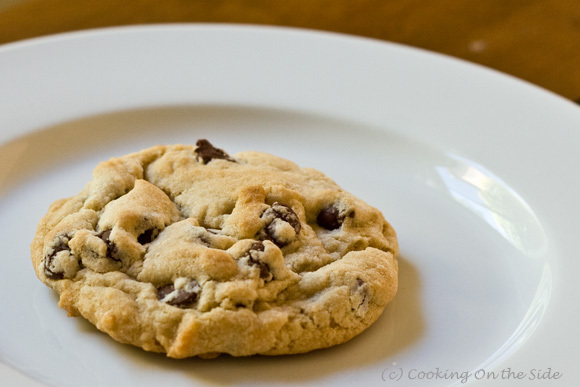 I know everyone says this… but this is the BEST chocolate chip cookie. You seriously must try it!…. they taste so rich, thick and chewy….and they look just as incredible as they do in these pictures! Wonderful recipe! !… amazing cookie!! Three sticks of butter? Really..I need 24 tablespoons of butter? They look great and are the kind I want..thick, soft, chewy and big. But Ive never used that much butter. I made a diff CCC that called for 3 & 1/2 cups flour with 2 & 1/2 cups of butter and 1 tablespoon of cornstarch – they turned out greasy and flat. Yuck. Can someone set me straight with this land o lakes recipe, please? BTW would your Barry Callebaut CCC recipe make me feel better cause I dont need ton of cookies. But I still wonder about all that butter. Thank you! The salt is not listed in your instructions. Just pointing it out. Thanks! Hi, Ive been doing a ton of reading on CCC. Alot of people say they wish the cookies had more flavor. Heres a tip: to enhance the flavor intensity of cookies, cream the vanilla into the butter and/or shortening and sugar first. This step encapsulates the vanilla and helps prevent flavor loss in low mass/low moisture/high heat cookies. This includes 350 degree cookie baking. And always use pure vanilla extract. Wholesale clubs offer large bottles at a great price. ALSO, just to mention there is a recipe VERY IDENTICAL to Land O Lakes CCC cookie recipe listed here. Its at nielsonmassie vanilla website. 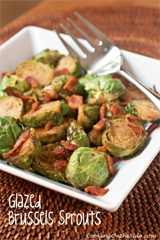 Theres no other CCC recipe like thses two-almost twin recipes! Which do u prefer, light or dark brown sugar?